KidCents | Rite Aid Foundation Are you a wellness+with Plenti member at Rite Aid? If so, did you know that the Emmanuel Cancer Foundation is a charity of choice when you round up your KidCents? Photos from Emmanuel Cancer Foundation's post A special thank you to our 2019 5K Sponsors! It takes a village for our events to come together and be successful, and with generous sponsors like these, our families benefit greatly! Dancing With the Gloucester County Stars and Help the Emmanuel Cancer Foundation Bob is dancing to help kids with cancer. Will you help him? Photos from Emmanuel Cancer Foundation's post Our jobs take us to various fun locations. Today? An Anime' Convention at Rowan University, where they chose Emmanuel Cancer Foundation as the recipient of all proceeds! Care2Share | Charitable Donations From Account | Investors Bank Thinking of changing your bank? Here's a great reason to switch! 9th Annual Charity Bash at the Brick House We are touched and humbled by the outpouring of love and support for the Emmanuel Cancer Foundation this past Friday, March 15th at the 9th Annual Charity Bash at the Brick House in Wyckoff, NJ. Freehold Rotary Club Art Auction On Friday, May 10th join the Freehold Rotary Club at an Art Auction event to raise money for the Emmanuel Cancer Foundation! 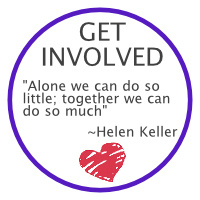 There's still time to Spring into action and join the 2nd annual 5K Walk/Run! Just wanted to say a big heart-felt thank you on behalf of Emmanuel Cancer Foundation to all our wonderful vendors who participated in our annual Holiday boutique on Tuesday, December 4th. 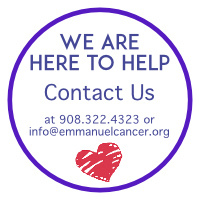 The Emmanuel Cancer Foundation is a 501(c)(3) tax-exempt organization. All donations to the Emmanuel Cancer Foundation are tax-exempt to the extent allowed by law. Join our mailing list to receive the latest news and updates from Emmanuel Cancer Foundation.